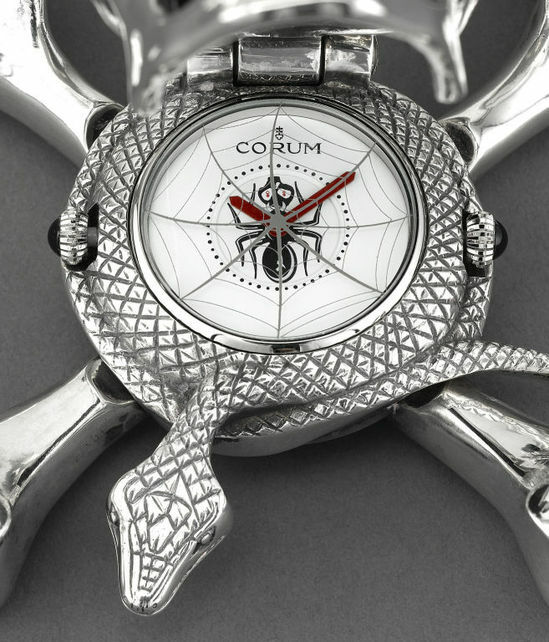 Watch lovers and collectors will definitely not have forgotten the limited edition Corum Ti-Bridge watch. 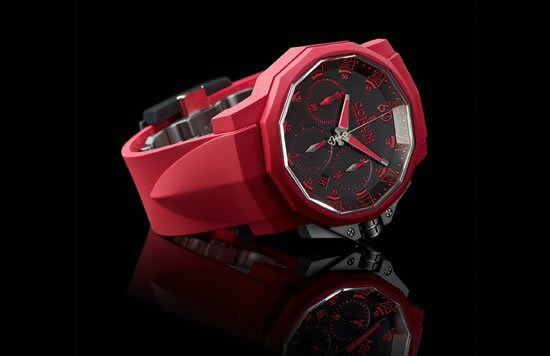 Well, if none of you managed to get your hands on this timepiece, here is your last chance. 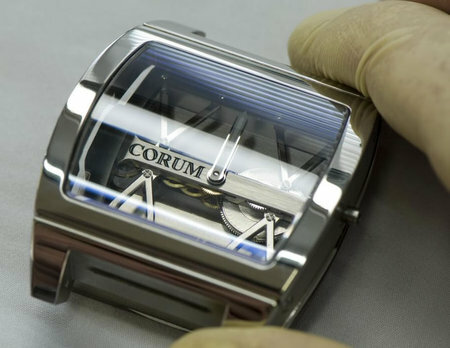 Corum has decided to create only one Ti-Bridge watch for the Only Watch auction. 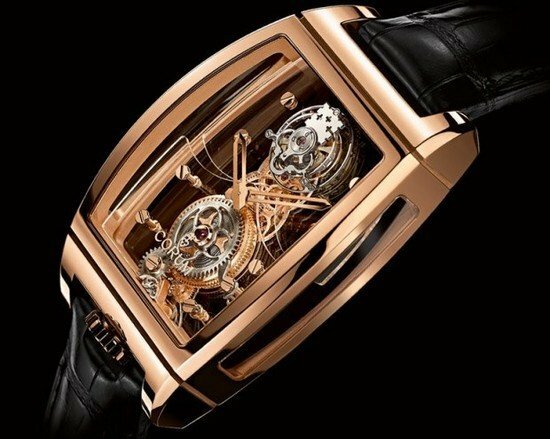 The exquisite watch features polished finish of the top of the case with two sand-blasted grooves and rubber case sides. 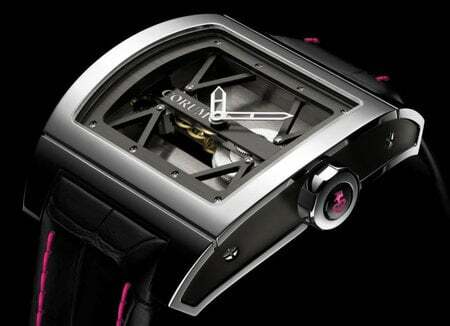 The crown, also in titanium satin and polish finish, has a Corum key symbol done in raspberry pink appliqué. 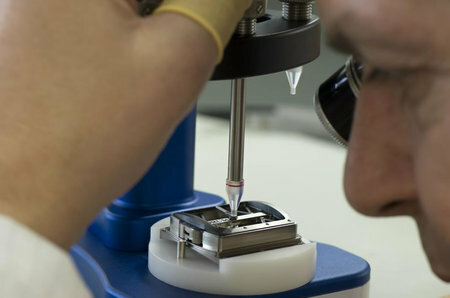 The unique watch does not have a dial, the hands are attached directly to the movement and the case is held together by a series of black PVD casing clamps. 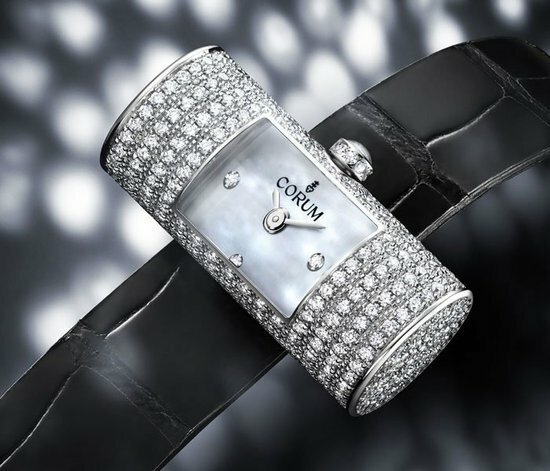 Powered by the Corum in-house hand-wound caliber CO-007 movement with 21 jewels, beating at 28,800 bph, this beautiful watch is definitely a class apart. 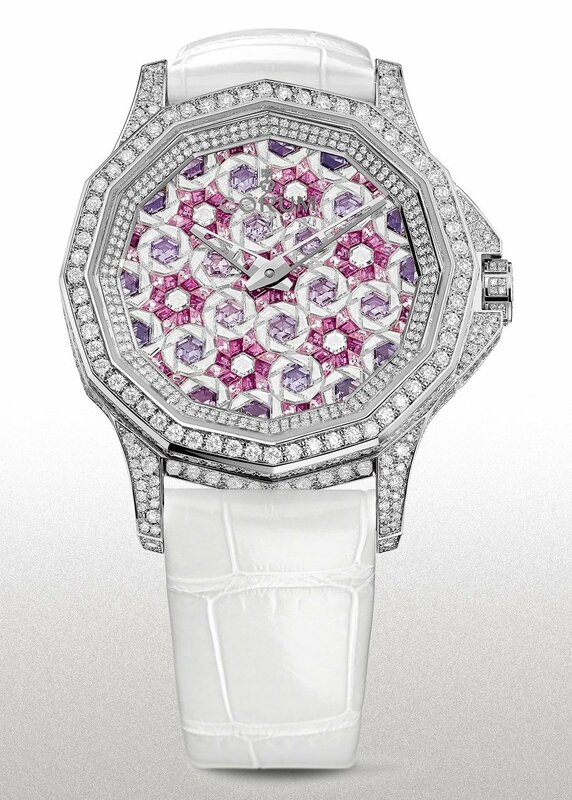 The strap is crocodile with raspberry pink hand-stitching and a titanium folding clasp. A second rubber strap included with this timepiece. 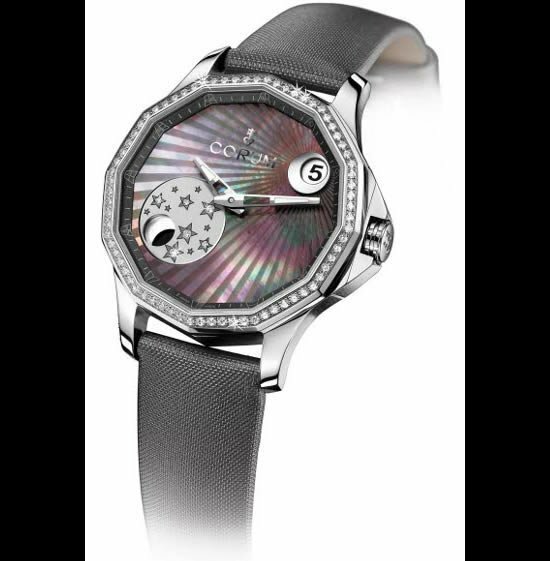 Watch collectors are sure to fall in love with this unique timepiece whose titanium case measures 42.5mm x 41.5mm in size. 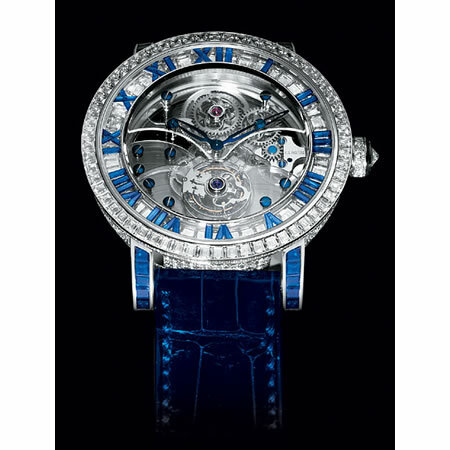 A beautiful timepiece, it has a power reserve of 72 hours and is water resistant up to 50 meters. 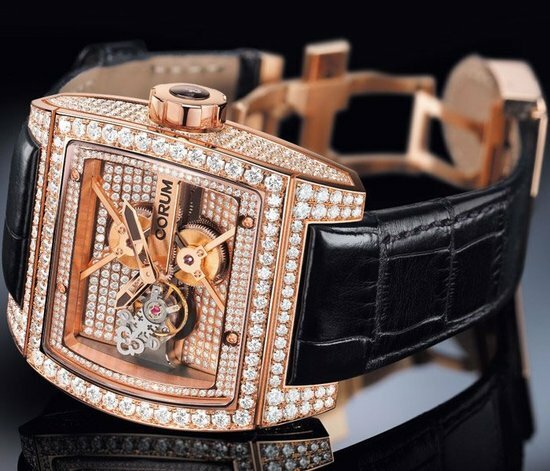 The exclusivity factor besides the exquisite design is sure to fetch this timepiece a humongous sum at the auction.